Hey there, thanks for stopping by! If there is an easier way to stay organized over the holidays I want to know about it. I’m guessing you feel the same way since you are here reading this post. 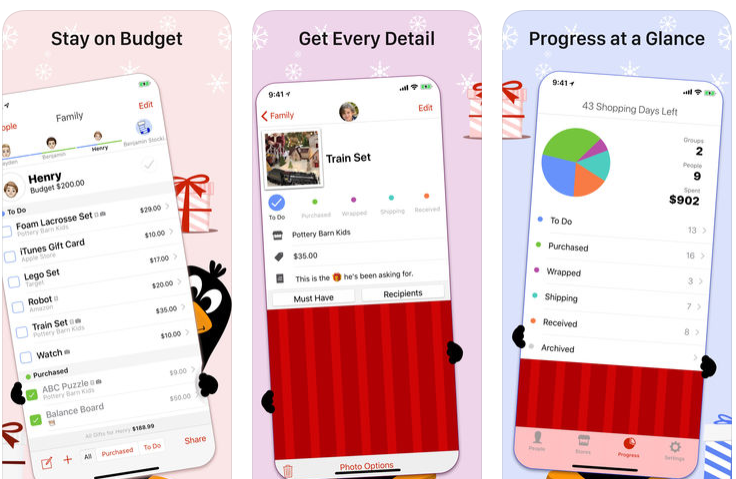 Well today I want to talk about my two favorite Christmas apps for organizing and budgeting gift giving. If you’ve read my blog for awhile you will already now about these apps. I’ve mentioned them before separately but I don’t think ever in the same post. I’ve been using both of these apps for years and I don’t know how I ever managed without them. Please note that this post is not sponsored in any way. 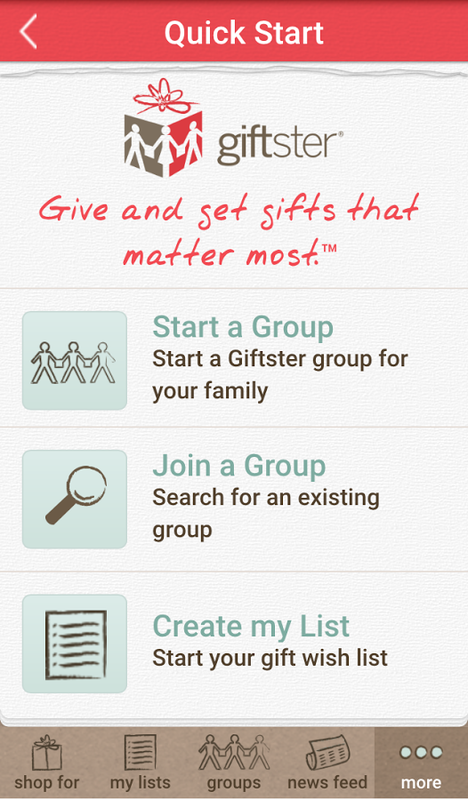 Giftster is a free online and mobile gift registry connecting family and friends. This app offers a very convenient way for your family to provide you with their gift wish lists. A wish list makes buying gifts so much easier and I love buying gifts for loved ones that I know they really want and love. All I had to do was set up a family group and then invite my kids and husband to join so they could create lists for themselves. The app makes it really easy to invite people via email or your contacts. And it couldn’t be easier to add product links either…just add the url, click fetch and everything else automatically populates for you. It can be used for holidays, birthdays, baby and weddings. Since I have a family group set up, each of us in the group can see each others lists. When I buy something from someone’s list, I simply mark it as purchased so no one else in the group buys it (the recipient doesn’t see what is bought though). And another favorite feature is every time someone updates their list, Giftster sends me an email so I don’t miss it. Such a great app and a win-win for the entire family! If you don’t have a smartphone, don’t you worry. You can also set up an account at Giftster.com. Once gifts are purchased I needed somewhere to log all that information. One, so I could remember what I bought (especially since I often start shopping early) and two, so I don’t blow the budget! That’s where The Christmas List app comes in. This app has been such a lifesaver for me. And while it’s not free, the money you save staying on budget makes it so totally worth it! 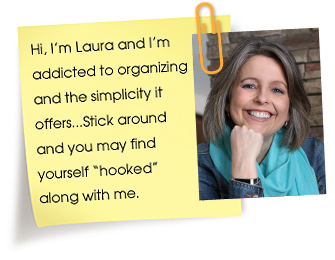 It’s easy to set-up and quickly add everyone on your list. Set a budget and add your purchases as you go. The Christmas List app keeps a running total per person as well as per group. You will always know exactly what you’ve spent. You can even take a picture of items you are thinking about buying or have already bought to remind yourself. And no need to worry about sneaky kids because it has an option of adding a password. Yes please! At the end of the Christmas season, simply archive your list and you will always have it to look back on.If your memory is anything like mine, this feature is essential! 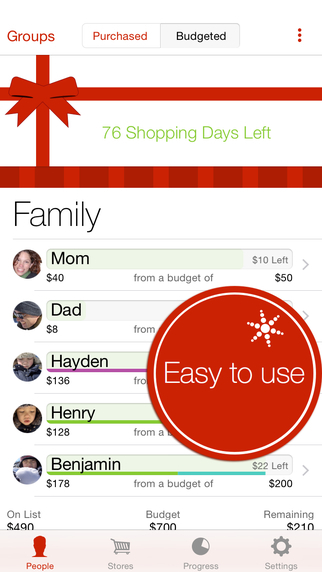 The Christmas List app is available on iTunes HERE. 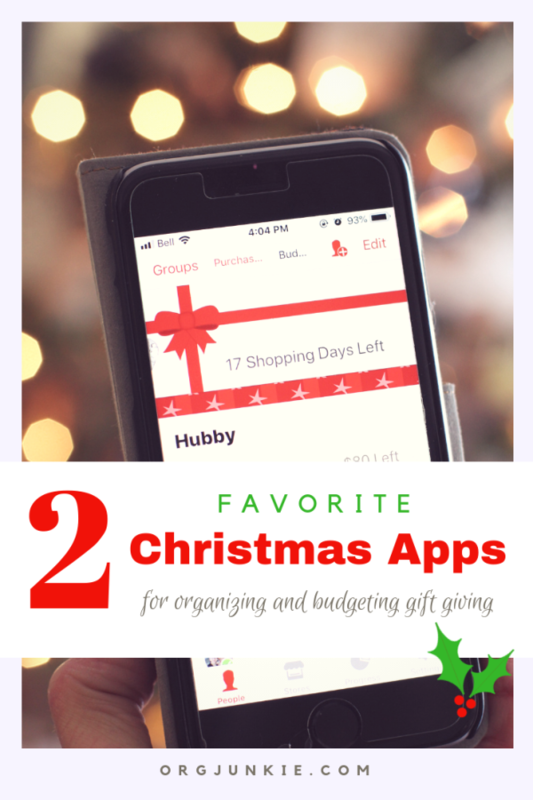 I’d love to know what your favorite Christmas apps are to help you stay organized. Please let me know in the comments. For more Christmas organizing tips please visit THIS POST. Need some organization gift ideas? Here are a few of my favorite things (affiliate link). This post contains affiliate links and I will be compensated, at no extra cost to you, should you make a purchase after clicking on any of my identified affiliate links. 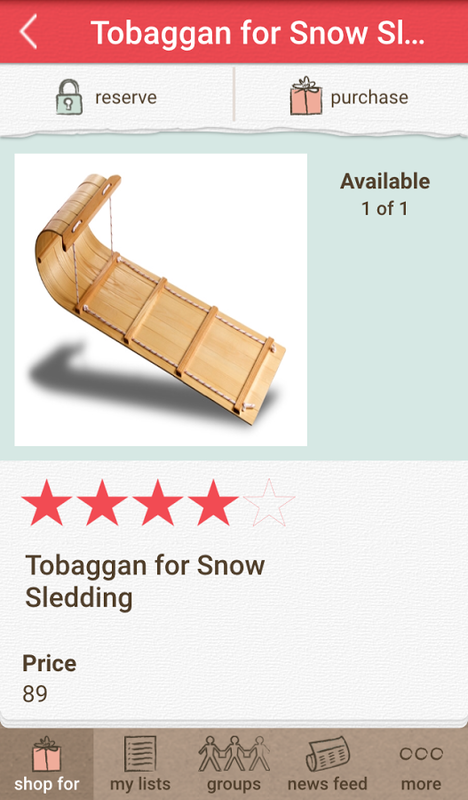 I’ve been using the Christmas List app for several years. I love it! ???? ?